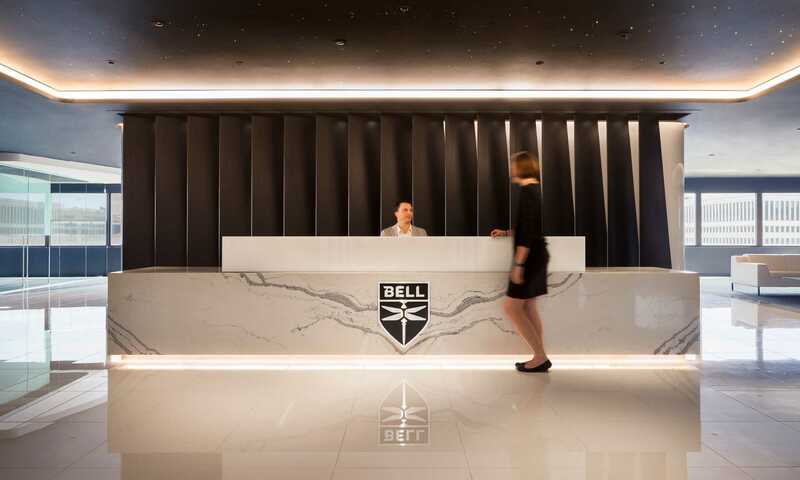 HKS was challenged by Bell Helicopter Textron to design a user-friendly center that showcases Bell’s V280-Valor and the aerospace manufacturer’s latest tilt rotor technology. 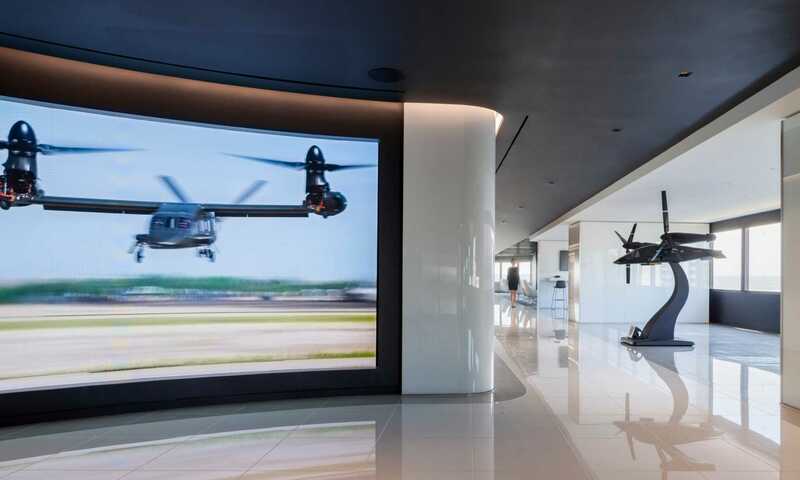 Overlooking Washington National Airport, visitors to the Advanced Vertical Lift Center are greeted by a feature wall that contains 17 replicas of the V280 Valor’s rotor blade, along with a “starry night” light field located in the ceiling. 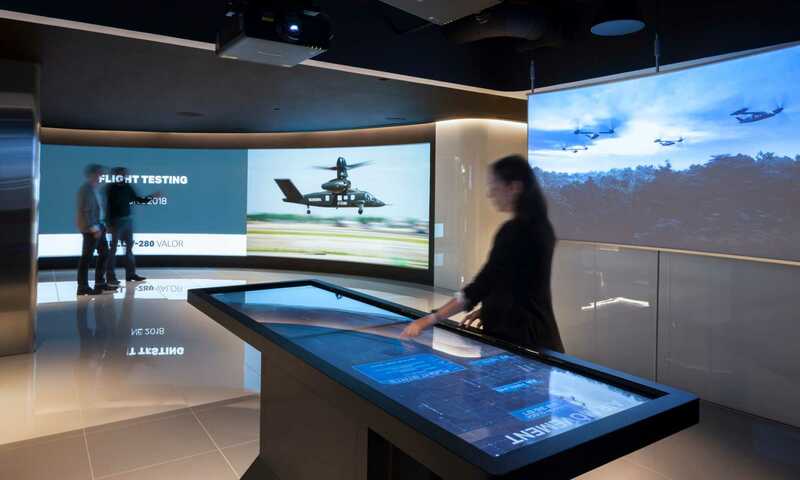 Approximately half of the 25,000 square-foot space is dedicated to a demonstration center that includes a large vision wall, mission table, flight simulator, augmented and virtual reality simulators, scale models as well as conference and event space. 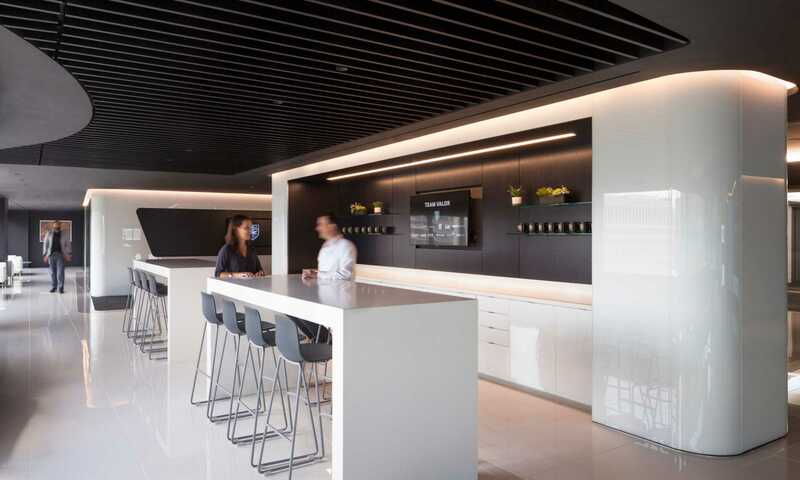 A substantial portion of the space serves as a meeting place for employees, clients and guests, many of them high-ranking military officials and staff members who sometimes accompany them. 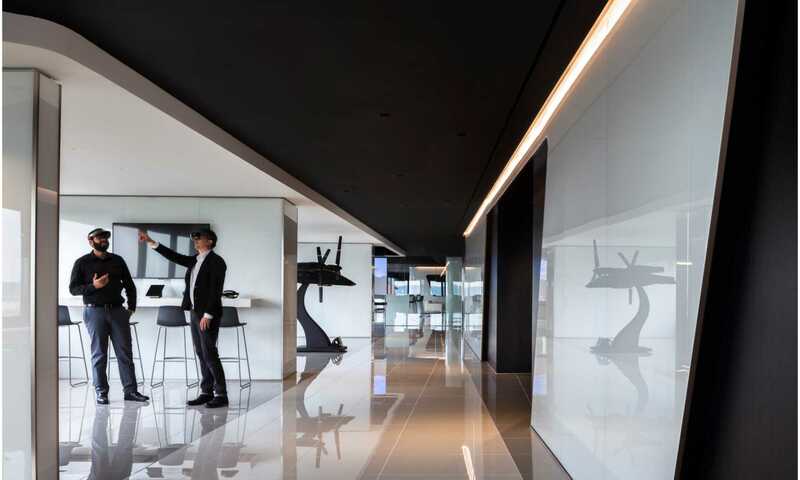 One of the materials used in this project is the clear and white back painted curved glass for its sculptural quality, which is reminiscent of portions of the vertical lift aircrafts. 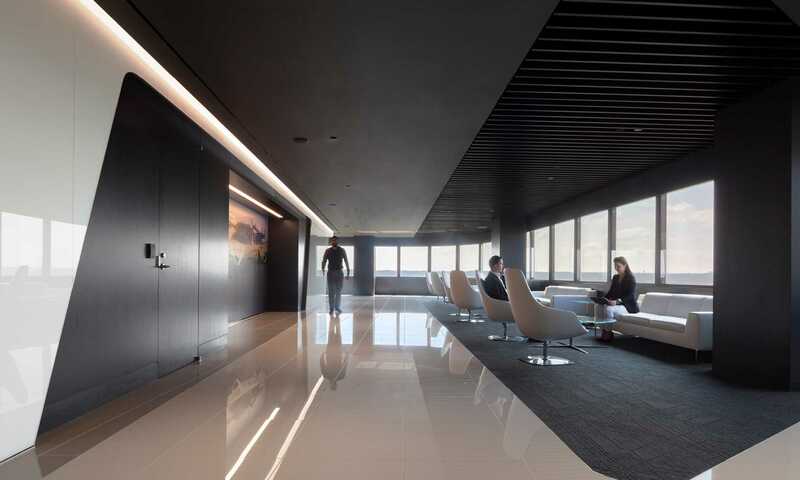 This project was successfully completed in less than six months.